WordPress supports natively lots of embeds from external services, like Vimeo or Youtube, and more recently Spotify and Rdio. In real life, if you paste a link from a supported service onto the post content area, WordPress will do the magic of transforming that link into html to support the requested service. But, what happens when you collect that link on a custom field? WordPress core magic won’t run over a custom field, leaving to you the responsibility of transforming the link into the proper html, in this case, into the Vimeo player. WordPress comes with a very useful function wp_oembed_get which allows you to use the already developed core process to fetch the oEmbed information for the input url. This is awesome as you don’t need to deal with all the bits of each service oEmbed api. 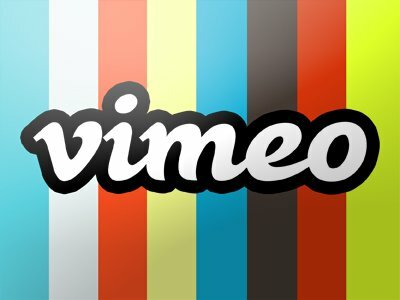 But, for some services like Vimeo, you need more than what is provided by the core, since WordPress only accepts as $args the height and width of the iframe, which is insufficient if you need to tweak a little bit the Vimeo iframe (Vimeo accepts the following api parameters: autopause, autoplay, badge, byline, color, loop, player_id, portrait and title). “Play it, Sam” or how to tweak Vimeo embed? After some investigation and reading I figured it out. Turns out WordPress has two super useful filters that will make our day in this situation: oembed_fetch_url and oembed_result. The first one, oembed_fetch_url, allows us to manipulate the url that will query Vimeo API – this is the place where we’ll re-introduce the oEmbed $args neglected by WordPress. I gave here an example with Vimeo, but this process can be used to other services like youtube. Enjoy!